Applications | Efficient Sonics Ltd. The Efficient Sonics product range can be used in many different markets and for numerous applications, as a reliable, clean and eco-friendly alternative to more traditional, chemical based anti-fouling methods which often harm the environment. Ultrasonic signals are sound waves of frequencies above the human hearing threshold. 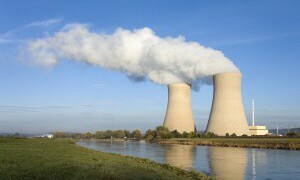 In our products, the typical frequencies used lie between 20kHz and 150kHz. Our systems utilise a complex mix of ultrasonic frequencies targeted specifically for anti-fouling, and produce a uniquely blended ultrasonic signal tailored to be most effective for the intended market and particular application. The presence of algae can have harmful effects on the quality of water and wildlife in ponds, lakes and reservoirs, especially when algal blooms appear on the surface. Bio-film is also frequently present with algae and is potentially harmful, as it can harbour dangerous bacteria such as Legionella or E-Coli. Chemicals that are traditionally used to remove algae or bio-film can create further problems as they contain toxins, which are also environmentally damaging. For more information on how to remove algae and bio-film in an environmentally friendly manner using Efficient Sonics ultrasound technology, please click here. The debilitating impact of lime-scale from hard water on industrial boilers and heating systems can be effectively tackled using the innovative ultrasonic technology from Efficient Sonics. In addition, the presence of bio-film which frequently develops in water boilers, heating systems and cooling towers can be significantly reduced using the same technology, thus preventing harmful bacteria such as Legionella and E-Coli from thriving. For more information about how Efficient Sonics products can be used in a range of industries, please click here. 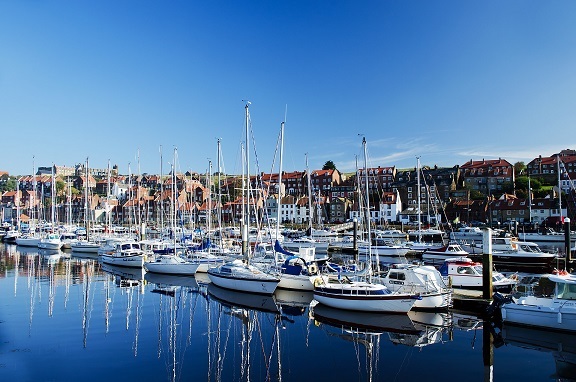 Yachts, Boats, Shipping and Fixed / Harbour Structures such as buoys, oil rigs and off-shore wind farm towers, are all vulnerable to the effects of marine fouling which can cause permanent damage to the vessel's hull or structural integrity. Marine fouling and encrustation on yacht, boat or ship hulls impedes maneouverability and increases fuel costs due to the increased drag in the water. Ultrasound technology provides a novel and effective, complementary approach to the traditional use of environmentally harmful marine anti-fouling paint, by keeping the painted surface fouling free for a longer duration, thus reducing ownership costs and environmental damage. For more information on how Efficient Sonics innovative technology can be used to reduce marine fouling, as an alternative to harmful chemicals, please click here. Industrial fish farming suffers from fouling of the cage nets or fish pens, by algae and other marine fouling species. This reduces the efficacy and overall health of the fish farm stock and incurs considerable ongoing overhead costs due to the need for continuous cleaning of the nets. Another major problem facing fish farmers, is the control of disease and fish parasites such as sea-lice ammongst the fish stock, which adversely affects both yield and quality. 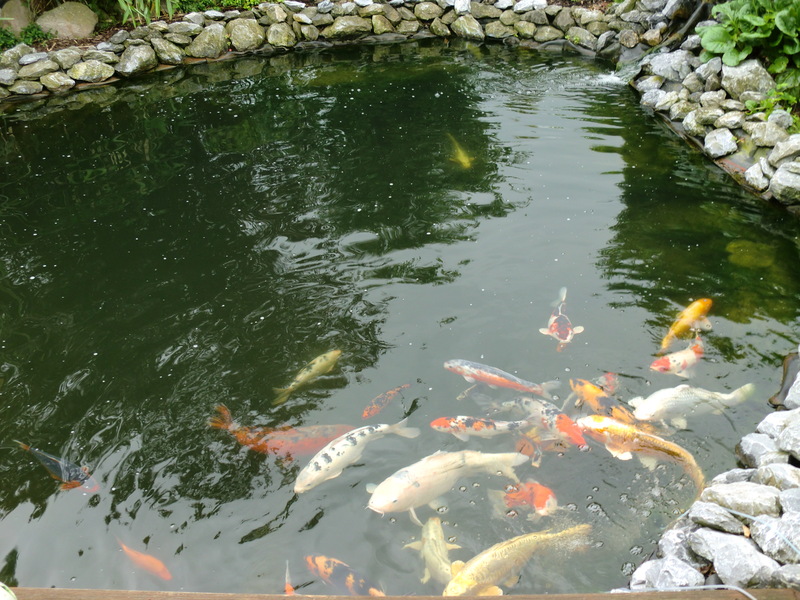 Whether it is fish farming for the food industry, or the cultivation of fish such as Koi Carp for ornamental ponds, it is important to keep livestock protected from the dangerous effects of algae, fouling and parasites, all of which contribute to impaired growth rates and disease. By choosing our ultrasonic anti-fouling technology, you can protect your fish stock from these problems and avoid using environmentally harmful chemicals typically found in traditional remedies. 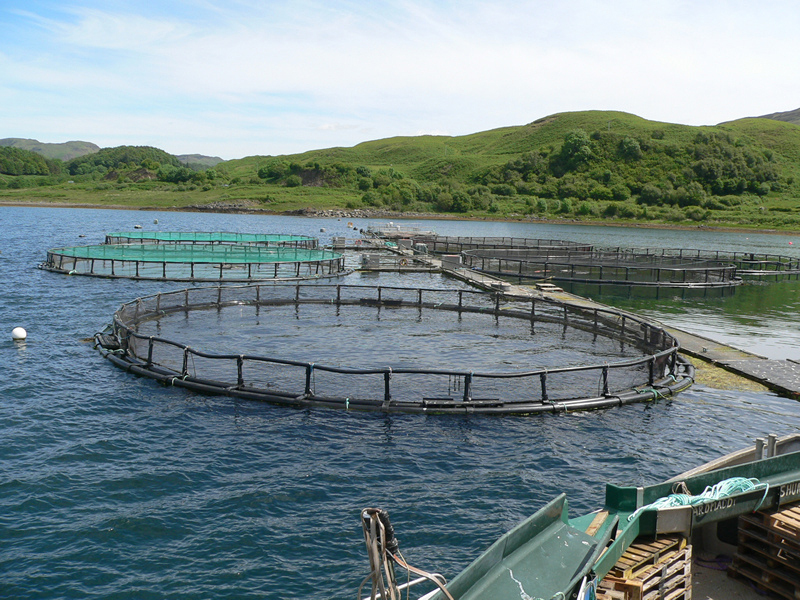 To find out more about how Efficient Sonics can help in fish farming, please click here.